Ubuntu 17.10 is finally here and along with it are some significant changes like the use of swap files, installation of applications via snaps, and a refreshed Linux kernel. Aside from improvements in performance, critical bug fixes, and UI tweaks from everywhere, Ubuntu appears completely the same as before. Nevertheless, this article focuses on providing Ubuntu users new direction and further information about the latest Ubuntu update. So, let’s get to the things you need to do after installing Ubuntu 17.10. Checking for new updates will always help you to keep your system secured from any issues and bugs, so ensure you have the latest protection patches, key apps, and bug fixes. Updating your Ubuntu system will allow you to install needed permissions from the PPA repositories, so you will never encounter any issues, and also it will improve the performance of your system as well. Even though you updated recently, checking up on future updates is a must when you want to keep up with improvements in the system. Since you’re operating a modern Linux system, to assure that you will get the best performance, you have to enable the needed proprietary drivers. It is an important step if you are planning to run the latest Linux apps and games that need the excellent speeds from an uncertain Wifi card, or use specifically advanced processor hallmarks. By default, Ubuntu doesn’t offer media codecs due to issues with copyright. However, Ubuntu does give users a simple way to install these codecs so that they can play MPEG4, AVI, MP3, and other various media formats. You may install all these media codecs via the Ubuntu Restricted Extra package. Once you’ve updated the system and installed the needed codecs, it’s now time to install various software. There are several ways to install essential software in Ubuntu. The simplest, most reliable and most convenient way is by using the Software Center to look for and install the latest apps you want to download. This step typically happens when you want to open a particular file in an application that you find the best for it to operate. For instance, you would like to run a torrent file in BitTorrent, but the Transmission is set to "run such file by default"; you can manually set up a suitable app that can open the file. Similarly, fix the Preferred Programs by "Default" in your settings. Gnome Shell Extensions are probably the best tools to personalize your Linux device. You can enhance the appearance of your Linux Operating System with various customized fonts, excellent skin packs, awesome icons, and many more. The Gnome shell has some cool extensions that can offer you extra aesthetical points. However, you need to activate the tweak tool first before installing all the extensions you want. Most modern computers can handle Ubuntu 17.10. It’s Better to install the needed proprietary drivers rather than of the open source drivers to get the best work and performance particularly if you own AMD or Nvidia. Plus, this step is significant if you are running high definition apps and games on your system. Ubuntu offers a set of classic looking default icons and themes, but there are times that it may feel dull and need some customization. There are so many GTK icons and themes out there to make your Ubuntu fantastic and amazing. For other personalization of the looks of Ubuntu, you can use the Gnome tweak tools. You can do many things in Ubuntu without the use of the terminal. However, you may notice that other guides are showing how to do particular tasks on terminal commands instead of using the graphical interface since the terminal is more capable across other distributions of Linux. It's fast and easy to learn and discover how to open the terminal and start to work using the basic commands. Also, consider reviewing other guides on how to operate the file system so you can navigate the terminal easily. To determine if there is a proprietary definition suitable for your video card, run the Software & Updates application, then navigate to the Additional Drivers tab. 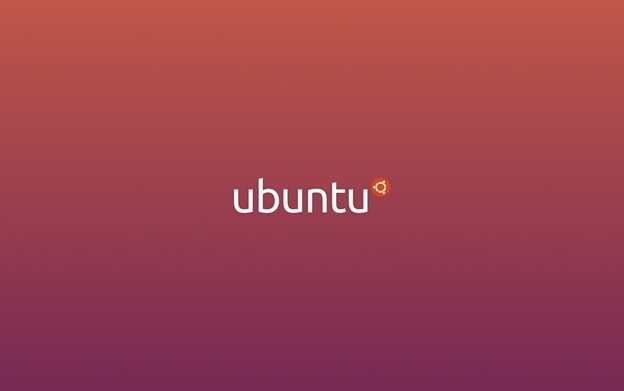 Ubuntu is the most famous distribution of Linux on the laptop, desktop, or personal computers, while most Ubuntu aims attention on its use in the market. Thus, Ubuntu is intended primarily for personal computers, but a server version is also existing. If you own a Linux device, and you have just updated it to Ubuntu 17.10, think of following the items listed above to ready your device for work and play. For more of tech updates, you can browse tech sites online like Deal Wiki to pick up the latest updates.